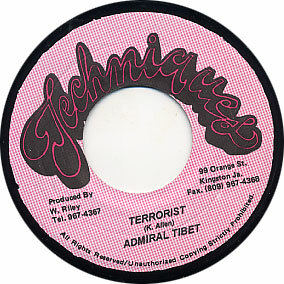 See also the ’89 Jammys production “Them a terrorist” by Johnny Osborne. See also-also, Neil over at Transpontine on all of this. see also also, Jonno Dubdadda’s cut on a rhythm Neil from Zion Train worked on with UB40 called called ‘Who Is The Terrorist’. Was that on Rhythm King back in the 1980s?